Emily Somers has left her role as vice-president, marketing and food development, at McDonald's. 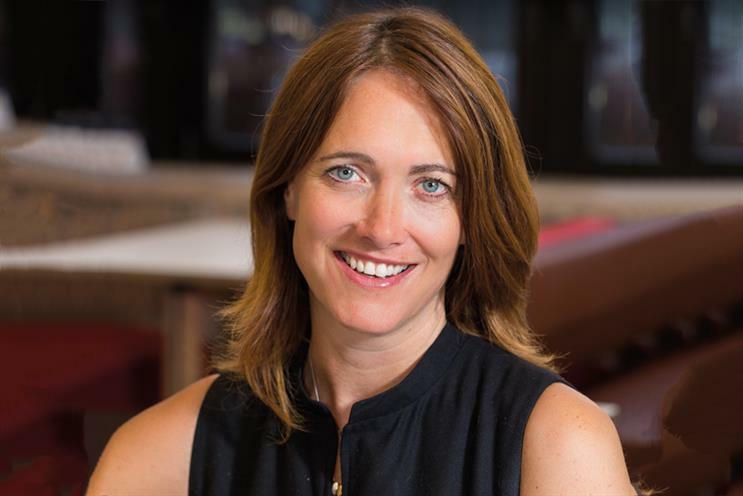 Somers joined the fast-food giant in 2015 from Havas Worldwide London, where she was managing director. She leaves McDonald’s without a job to go to and has listed herself on LinkedIn as a freelance marketing consultant. McDonald’s has not commented on plans for her replacement. Proximity London has appointed Adam Fulford to the new position of chief strategy officer. Fulford was previously managing partner at Mindshare. Joining in January, he will lead a 70-strong team covering strategy, data, user experience and marketing transformation. Rosie Arnold, creative partner and head of art at Abbott Mead Vickers BBDO, will leave the agency at the end of the year to focus on mentoring and projects aimed at championing diversity in the ad industry. She will not be directly replaced. Facebook has poached WPP’s Nick Baughan to be director of agencies in the UK and Ireland, looking after revenue and relationships for both media and creative agencies. Baughan was EMEA chief executive of Essence and former UK chief executive of Maxus. Havas London has promoted managing partners Jennifer Black and Nicola Wardell to the newly created positions of managing director and chief client officer respectively. Nick Bell, vice-president of content at Snapchat parent company Snap, is set to leave the business by the end of the year. The former News Corp executive told colleagues in a memo that he will be taking "time off to recharge before deciding on my next adventure". BT Group has handed new roles to two of its top marketers, each including responsibility for both the BT and EE brands. Pete Jeavons, previously director of brand marketing for EE, becomes director of marketing communications for BT’s consumer division. Dan Ramsay, previously consumer marketing director for the BT brand, becomes director of multi-brand marketing for the same division. Monty Verdi, executive creative director at Omnicom Media Group’s Drum, has joined VCCP’s content division, VCCP Kin, in the same role. Verdi has been at Drum since 2017 and, before that, worked at CHI & Partners for seven years. Fold7 has hired Michelle Hickey as head of production. Hickey will lead the agency’s film, video and content production department, reporting to chief creative officer Ryan Newey. She was previously acting head of TV at Havas Worldwide London. 72andSunny Amsterdam has promoted creative directors Laura Visco and Rey Andrade to deputy executive creative directors. Data-driven intelligence company Future Thinking has appointed Jim Stevenson as group chief executive. He was previously chief executive and founder of Bletchley Group. Tipi Group has created The Market, a new "light touch" agency targeting scale-ups and rapidly growing businesses. Camilla King has been appointed as managing director. She was previously an account director at Tipi. Provision Events has promoted Matt Lomasney as managing director. Lomasney joined the company as head of production in March after five years at experiential shop Because. William Hill has appointed Charlotte Emery as global brand and marketing director. She will report to chief digital officer Ulrik Bengtsson. Emery was previously brand director for Kent at British American Tobacco. IProspect has appointed Heidi Kenyon-Smith as group head of clients for its Manchester operation. She was previously client director at fellow Dentsu Aegis Network shop Carat. Kenyon-Smith will report to Steve Buchanan, chief executive of iProspect North.